Important information -- news, changes, etc -- from the Admin. Also available on the in-game Updates and Notices boards. A collection of Frequently Asked Questions that provides quick access to vital information, whether you are new to MUSHing or just new to Blood of Dragons. It is highly recommended as a starting point if you are checking out the game for the first time. Is it necessary to have read A Song of Ice and Fire? In-depth essays and guides on topics such as getting started on the game, creating a good character concept and roleplaying different character concepts. Many are geared towards newbies but everyone, including experienced players, should be familiar with the articles under the Theme section as these deal with the current state of play on the game. This Article is a guide both for new players and for Greeters on the game, discussing the suitability of various character concepts and whether there are any special requirements associated with them. The Helpfiles wiki covers the information normally found in the NEWS files and is divided across general information (policies, guidelines, getting-started information, etc), system information (descriptions of how various codd systems are used) and thematic information (an overview of key elements of the setting of the game. A gallery of maps, including room-by-room maps over the open areas to help players find their way, as well as other useful images. Logs of meetings, lectures, lessons and other OOC activities. A chronicle of events that include known canon events as well as events invented by the Admin, events in character backgrounds and roleplayed events. This is the most detailed information available for the history of the game and it is an excellent resource for creating character backgrounds. Logs of roleplay. Players new to MUSHing can get a sense of how roleplay works by looking at the logs and experienced players can get a sense of what the roleplay on the game is like and whether it seems interesting to them. Players can request a login to contribute directly. Important IC news from all over Westeros, covering all major events that the characters learn about. Also available on the in-game Tidings board. A listing of all the houses that are available for play. Each house has a family tree listing all the members of that house and it is from these family trees that the CDB (character database) was put together. The family trees can be used to see where a certain character fits into a family. A gallery of original character art. Player submissions are welcome, as long as you own the copyright of the piece in question or have permission of the copyright holder. 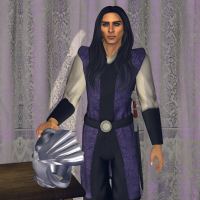 A wiki for profiles of characters and significant groups in King's Landing and Sunspear. It is meant to give a sense of who's who at each court and to provide a way of easily browsing through information about significant characters. Players can request a login to contribute directly.